Audio slideshows are a form of storytelling commonly found in digital journalism. They combine images and sound (narration, natural sounds, music) to create engaging stories. While they’re simple to build, they do require a skillful blend of writing, photography, and storytelling to be effective. When you hear “audio slideshow,” you might think they’re similar to click-and-watch e-learning courses. While the production process for both is similar, the formats are quite different. 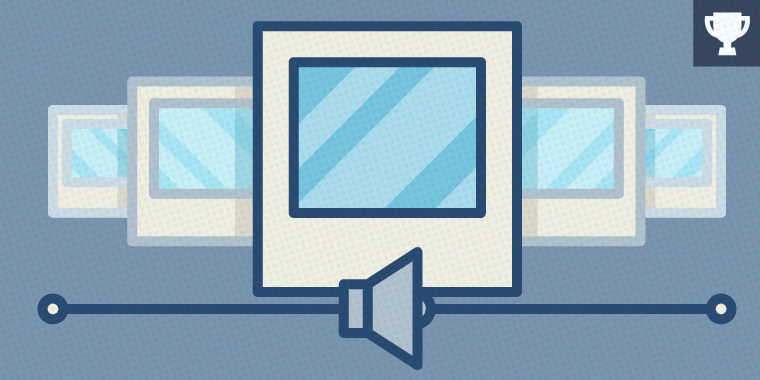 Let’s look at a few ways audio slideshows differ from the typical e-learning course. Duration. The average length of an audio slideshow is two to three minutes. 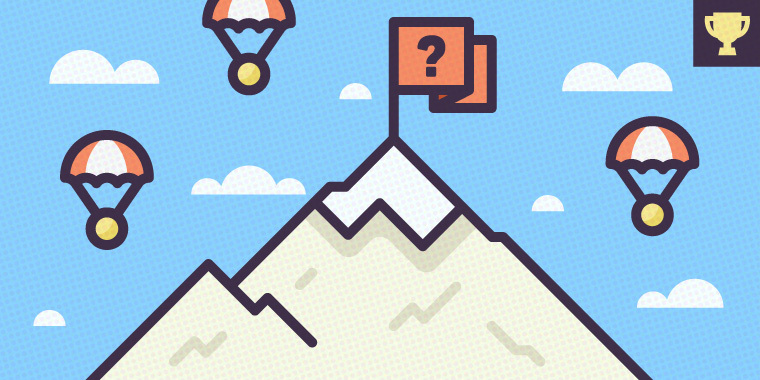 The average length of an e-learning course is, well, much longer. Voiceover. Audio slideshows are produced as first-person narratives. This means the newsmaker, source, or subject matter expert is the one telling the story. This is different than the narration or lecture approach used in most e-learning courses. Third-person narration can be used to provide additional context to the story or to bridge one sequence or sound bite to the next. Sounds and Music. Audio slideshows combine sound bites, background music, and natural sounds to enhance the story. This differs from e-learning courses, where the only sound is from the third-person narration. Animation. Audio slideshows don’t use animated graphics, bullets, text boxes, or progressive reveals like those found in most e-learning courses. Audio slideshows use straight cuts or cross-fade transitions to move through the image sequence. This is a fantastic example of an interview-style audio slideshow. The interviewer’s questions aren’t included in the audio. You only hear the first-person narrative from the interviewee. This type of format would work well for capturing sound bites and short case studies from customers or subject matter experts. Here’s a powerful example that combines still photos and short video clips. You don’t usually see video clips with audio slideshows, but they can be an effective device to vary the visual pacing of your story. This example won a Best of Journalism award in 2007 for best audio slideshow. I really like the way this project uses multiple voices to tell the story. Audio slideshows are linear stories, but that doesn’t mean you can’t include options for jumping around the presentation. Here’s an example of an audio slideshow that provides a gallery approach to the individual images. Viewers can select an image to jump to that place in the audio story. I hope someone tries to recreate this effect in Storyline. This week your challenge is to share an example that demonstrates how audio slideshows can be used in e-learning. Keep your slideshow under three minutes. The production process is simple, but slideshows require a greater emphasis on writing, audio, and overall storytelling. This example totally works for an audio slideshow example. Thanks for kicking off this week's challenge, Daniel! Totally works Daniel, really nice! Nice layout, animation and story line. Really worked out nicely. Great way to present subject Daniel! Thank you, everyone :) I had fun working on it myself; Only I need to do another one! I foresee some very cool examples! I'm going camping today, so let's see if I can get some images. It might be more of a story and less e-learning. This is a really cool topic! I'd never heard of audio slideshow storytelling before and I really enjoyed viewing the examples. Here's my contribution: https://youtu.be/OmDHSIQSh1c Hope you like it! Hey Ben! This is a fantastic example! I really liked the interweaving of text, video, and still photos. Nicely done! Very well done and creative example Ben. Nailed it, Ben! Which tool you have used? The way everything blends is just awesome. Thanks, Ashi! I used iMovie to put everything together. Fantastic Ben, loved the execution and subject matter! So touching and nicely presented Ben! Brought a tear to my eye. Great job Ben! An important topic and great execution, high quality. Nice slideshow Alex! Wish I could hear those sounds for real! Nicely done Ashi. Vegetables is surely good for the body. Really great vibe in this one Ashi, really like it! Yay for Vitamin A. Nice animation effects. What did you use for voice over. I can't remember one I tried once. What's your friend's name at the end there...you know, baby godzilla! Nice work Ashi! Now I'm hungry! Nice Ashi. Really nice Dianne, good pace and lovely music background! Lovely Dianne! Transitions nicely executed. Great delivery of the theory. Oh and I love your accent (yours too Veronica!). Thanks Daniela - do I have an accent?! Nicely done Dianne, and a very cute granddaughter. I love it, Dianne! Such a great work there . . . amazing how the full screen images tell their own kind of story! This is just awesome Dianne...Nice background score...Your granddaughter is adorable <3 Which tool you have used? Thanks Ashi. Now, this is never going to get me e-Learning Hero status, but despite beginning this in Articulate, I ended up using Camtasia and wished I'd started with this software as it really does lend itself more to this type of design. The background music was in the Camtasia library, so fortunately I didn't need to spend much time sourcing this. Dianne, I've never used Camtasia. Is it free and what is it's main function? You can get a free trial of Camtasia - but it's not free after the trial, although it's very reasonably priced. Here's a link: https://www.techsmith.com/camtasia.html I use it a lot to create video footage - which can then be used in Articulate. It has some very attractive features such as an amazing variety of animations that make for interesting video footage. I find the interface really intuitive and the timeline is very easy to use. You can publish direct to YouTube, or just create an .mp4. You can create interactive e-Learning with it, but I've never done this as I think nothing would compare to Articulate in this regard, although having said that I'm waiting on a client to get back to me about using Camtasia for their interactive e-Learning. Thanks Dianne. I look forward to trying it. Sounds good. And yes you have an accent. I've never used it but after watching this, I might :D Thanks Dianne. So cute to have a small person's voice Veronica. Was that your daughter? Love that you've used your children for the voiceover - very effective. My takeaway from this demo is that you can use quite an informal approach and it's still super-engaging. Love the background sound effect as well Veronica. Highly empathetic and emotionally captivating Veronica. Thanks for your comments guys! Ashi: thank you! but I take no credit for the design, my daughter made it last year at school and I just scanned it and removed the text :) Daniela: Yes, my daughter and also my son narrated. She's 6 and he's nearly 8. Dianne: Thank you! loved yours too Alex: wow, thanks so much! I like the font, layout and of course narration, Veronica! Like everyone, the voice over made it more engaging, I listened to it twice :) I also love the nature background sound too. Summer trip: Demo: https://youtu.be/UnoEk3KFRkw Blog and Source: coming soon I hope you like it. Wow, great job Daniela! Great use of different techniques to get your message across. Loved the map! Can't wait to hear about your trip! That was funny Adam! You are revealing a concerning future this November LOL The secret is in Orion's bell! Very funny and of course I had to sing along with Sarah. That is hilarious! Thanks for entertaining. Wow. I don't know what to say Alex. That was disturbing. Good narration and image zoom regardless. I've been to Venezuela and only went to Caracas for one day. Hey Alexander, That was great, very moving. As a fellow South American (I am originally from Argentina), I could empathise so much! You do awesome work! Alex, very moving storyline and excellent build-up to a harsh reality. I'm sitting here completely baffled after watching your video. Job well done! Great Job with the video....I am scared and shocked at the same time. Awesome job Alex, what an interesting and valuable learning experience. Hmm Alex, very moving indeed! My sons and I are in the process of adopting a median and people keep asking us about it, so explaining it was my inspiration with this challenge. http://s3.amazonaws.com/ElearningChallenges/130/story.html I used a combination of Storyline, Audacity (free), Photoshop, and Windows Movie Maker (free). The images and videos are from Sustain Indy, the Indianapolis Department of Public Works, and Keep Indianapolis Beautiful. The background music is from orangefreesounds.com. Very nice Maggie! I like how you show a video clip over the image and how you split images with a white border. Nice elements all around. I'm not sure if it's my computer but at the very start for a few seconds, the music drowned your narration. That could be. I had a hard time with the background music. Hopefully, that's a feature that Articulate works on in upcoming releases. As much as a dislike Captivate, the project-wide background music option (that lowers when other audio is introduced) is nice. I created mine in PowerPoint and it seemed to work fine. Beautiful photos and nice layout of this project Maggie! Excellent work Maggie! I love how you use the image borders to separate contrast. That was really terrific Maggie, well done! I'm really impressed with the demo's this week! great stuff everyone! Absolutely stunning Alex! Love it all. The clock ticking. The chalk sound as you write. The timer. The interaction. Nice interaction Alex, I got most of them wrong! Thank you guys, I had found some bugs and fixed them! If you find any mistakes, please tell me about it. And I found that JS is not working with Android devices, do you have any ideas how to fix it? Awww, that was beautiful Linda, nicely put together! Nice work Linda. It was a knowledgeable one. Hi everyone! Just a quick post to let you know the challenge recap is current: https://community.articulate.com/articles/storytelling-with-audio-slideshows If you shared an example and it's not in the recap, let me know immediately so I can add it. Thanks!